Try this Merchant’s Lair 2012 Adelaide Hills Shiraz. Cool climate Shiraz is becoming increasingly popular as a distinctive variety of the Adelaide Hills. The cool nights of the Adelaide Hills meant that the berries were able to reach a natural balance of fruit ripeness and flavour and natural acidity. To capture this wine style fruit was picked crushed, de-stemmed and fermented in small half tonne batches at our winery adjacent to the vineyard. Selected yeast strains and hand plunging the cap up to six times a day ensured minimal intervention and maximum extraction of colour, flavour and velvety tannins. The resultant rich red wine was pressed and matured in our cellar for 18 months in a mixture of French and American oak barrels. Minimal filtering and additions has helped to maintain the integrity of this elegant Shiraz. 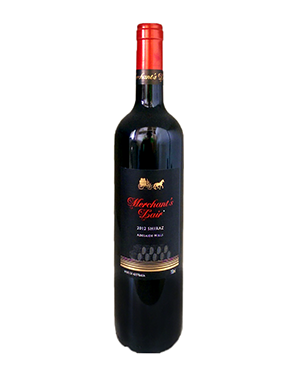 This Merchant’s Lair shiraz is deep red in colour with fragrant violet and dark fruit aromas of blueberry and ripe plum with underlying spice of cinnamon and white pepper. The palate shows typical characteristics of cool climate Shiraz typical of the Adelaide Hills. Vibrant raspberry and blackberry fruit characters are balanced by a peppery spiciness and supported by elegant tannins.